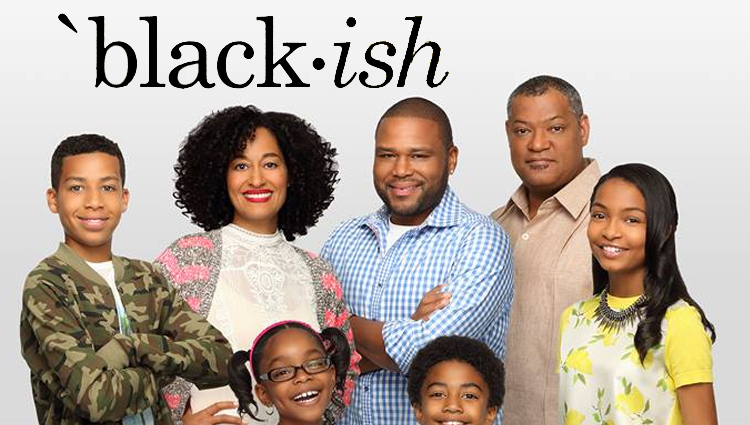 I have to admit, I actually found the inspiration for this recipe by watching the ABC sitcom “blackish”…It was the episode entitled : “Elephant in the Room”, where Andre Jr. meets a girl, ironically named Hillary, who is a member of the Young Republicans club. So Jr. joins the club to impress Hillary and this throws his liberal parents Dre and Bow for a loop. Since they really cannot believe any reasonable black people would be Republicans, Dre and Bow arrange to meet Hillary’s wealthy and conservative parents. And upon meeting Hillary’s parents, they enthralled with the lifestyle and the food, wild boar bacon tarts………..until Bow’s parenting style as a working mother comes into play…..but I digress. So if you are looking to try wild boar sausages, D’ Artagnan has a line of wild game sausages that will take your ordinary meals to the next level. This particular sausage takes a walk on the wild side when it is made of boar. With a hint of sage, these links are perfect for breakfast and poultry stuffing. 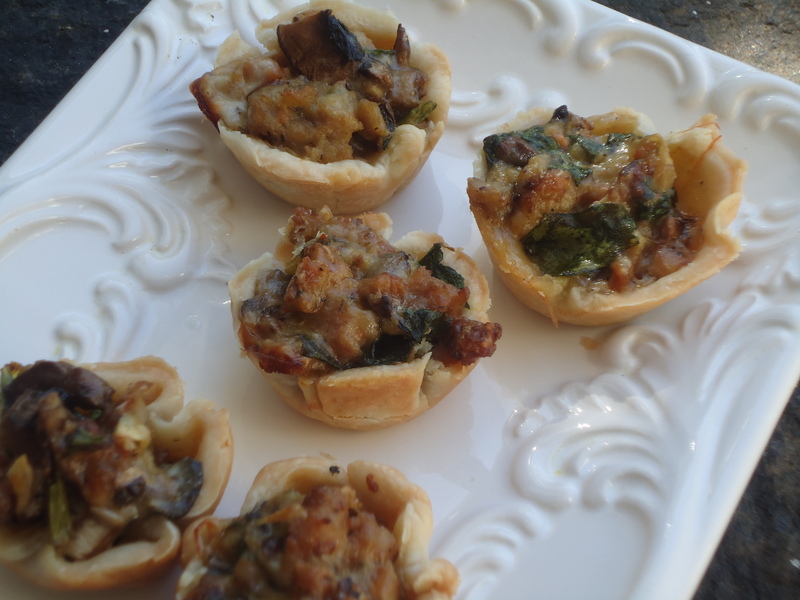 This recipe combines the great flavors of the wild boar sausage with eggs, cheese and scallions, making an exceptional mini tartlet that can be served warm or cold at brunch. Line a baking sheet with parchment paper. 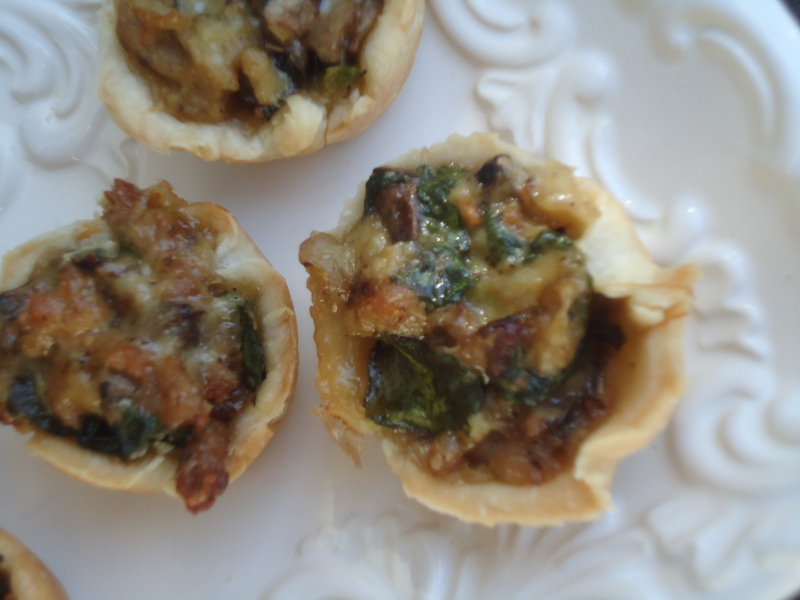 Arrange phyllo cups on an ungreased baking sheet and prick the bottom of the cups with a fork. Place in the oven and blind bake until lightly browned for about 2 to 3 minutes. Remove from the oven and set aside. Add the potatoes to a medium saucepan and cover with cold water. Add a big pinch of salt and bring to a boil. Reduce the heat to a simmer, and cook the potatoes until tender but still with a bit of resistance, 5 to 6 minutes. Drain and cool. Lightly drizzle the olive oil in a large skillet over medium heat. Remove the casings from the sausage and add the sausage to the skillet, and cook, breaking up with the back of a wooden spoon until crumbly and browned, 6 to 8 minutes. Add the spinach by the handful and stir until it just wilts down. Season the mixture with salt and pepper and stir in the thyme and scallions. Remove to a bowl to cool. Evenly add to the par-baked phyllo shells, the grated cheese, then the cooked potato and finally top with the sausage and spinach mixture. Spoon the eggs over the top and sprinkle with the remaining cheese. Bake for 8 to 10 minutes, or until the cheese melts and the pastry is golden brown. Serve immediately.